Days after his 34th birthday, Bayern winger Franck Ribery (r.) is in the form of his life. Bayern Munich coach Carlo Ancelotti jokingly said before the Klassiker that he and Franck Ribery had “agreed to lower his age from 34 to 27”. With a goal, an assist – and much more in between – the France legend certainly played like a man in his prime, helping the champions dismiss Borussia Dortmund 4-1. 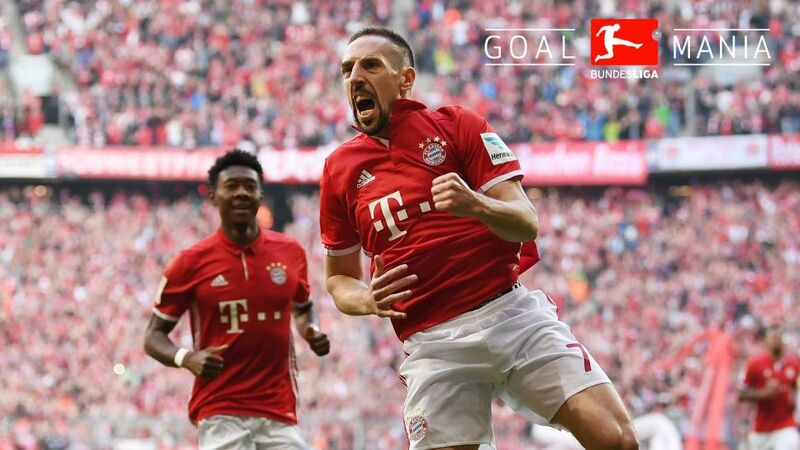 Ribery took just four minutes to open the scoring at the Allianz Arena, 24 hours after his 34th birthday. It was Bayern’s quickest goal this season, and his own fastest tally since scoring in the third minute of a 4-0 win over Eintracht Frankfurt some eight years ago. Ribery wrought havoc cutting in from the wing, and after games like this the Bayern faithful undoubtedly wish he was 27 – if only to see him play at this level for longer: Ribery is not slowing down yet. The six-time Bundesliga champion put in a game-high 39 sprints. Three more than Dortmund’s Christian Pulisic, a player 16 years his junior. Ribery was subbed off for Douglas Costa in the 74th minute, and the winger’s reaction showed that he has the appetite to help Bayern challenge on all fronts in the weeks ahead. Arjen Robben had a strop when he was switched out for Renato Sanches late on in Bayern’s 1-0 win over Borussia Mönchengladbach on Week 25; but there was no such remonstration from Ribery, who gave Ancelotti a kiss on the way off the pitch. “Franck played really well,” said Ancelotti post-match. “Friday was his birthday, so he needed a little kiss!” Ribery said at the start of the season that he would “eat grass” for the veteran Italian tactician, and that’s a sentiment that hasn’t faltered. “I have a good relationship with the coach, he gives me a lot of confidence and it's fun to play under him,” he said. Ribery now has four goals and 14 assists in all competitions this season – twice as many goals as he managed last season and just shy of five times as many assists. Ribery opened the scoring as Bayern dumped Real Madrid out of the Champions League at the semi-final stage on the way to lifting the title in 2011/12. The Spanish giants will have their work cut out this year. This particular 34-year-old is ageing like wine.